Friday night services are followed by Shabbat meals. Unwind from a busy week and get into the relaxed and serene Shabbat atmosphere while meeting and connecting with new friends. 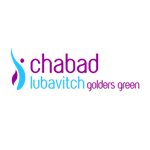 We hold weekly Shabbat meals and would be happy for you to join us and our family. RSVP Below.
" Thank you so much for Shabbat, it was wonderful to meet you, your family and friends. The meal was delicious - more like a feast! Many blessings to you and your family."